The Brittany collection, part of our shabby chic furniture range. A masterpiece in romance, this shabby chic bedroom furniture collection enjoys touches of traditional detailing to create a range perfect for homes wanting a period touch. Providing a beautiful and practical storage option for your bedroom, this shabby chic furniture chest featuring 6 drawers with black intricately detailed handles will be welcomed into any bedroom interior theme, providing luxury and elegance in abundance. Sure to astound, this beautiful shabby chic furniture chest will impress across generations. Handcrafted by experts and complimenting our range of antique style shabby chic furniture perfectly. 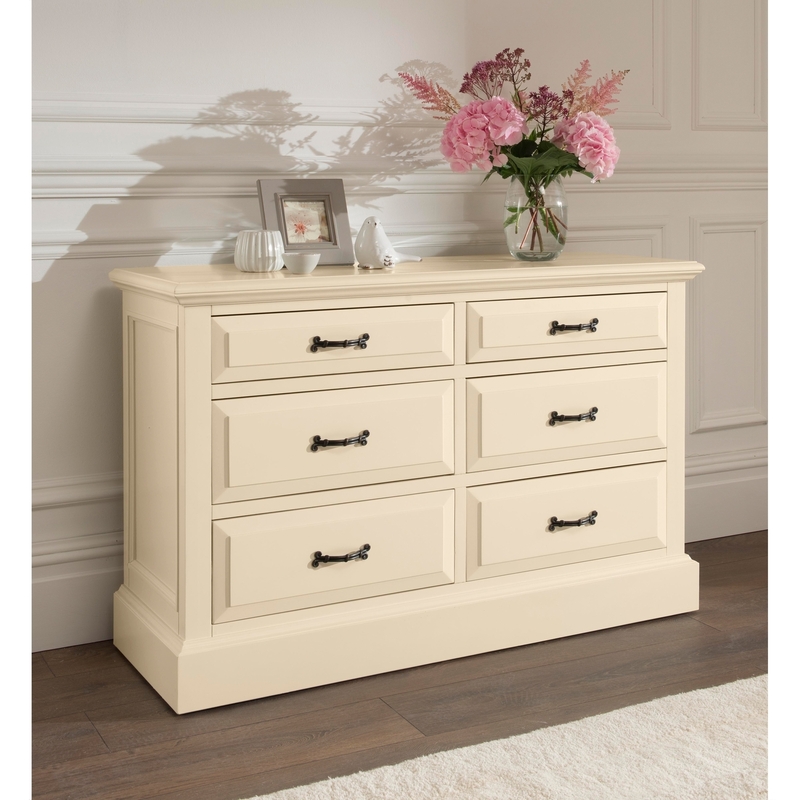 This 6 drawer chest finished in a stunning off-white with contrasting handles will look exceptional in a variety of shabby chic decor settings.